They’ve played key roles in building Omaha’s commercial real estate industry, and now will step into the CRE Summit Hall of Fame. The six men and a woman, chosen by a committee of peers, are to be recognized April 10 during the annual Summit conference. Until his death in October, John Bendon managed the Omaha office of NorthMarq Capital, specializing in the financing of apartments across the Midwest and into Texas. An accounting graduate of the University of Nebraska at Omaha, he started a mortgage banking career with First Interstate Commercial Mortgage Co., which eventually became Capmark Finance Inc. Bendon led the local office before he and his staff joined NorthMarq Capital in 2006. Steve Farrell co-founded Investors Realty Inc. in 1975 and served as president from 1992 through 2010. With nearly 45 years in the industry, he has shepherded such projects as the leasing and sale of North Park Office Park and the Oakview Plaza; site acquisition and planning of Village Pointe Auto Plaza and Performance Auto Plaza La Vista; development planning for First Westroads Bank Building; and the acquisition of more than 15 area sites for Burger King and Taco John’s restaurants. Jerry Heinrichs, who also co-founded Investors Realty, served as its president through 1991 before becoming chief executive of Mid America Real Estate Investment Inc. He returned in 1998 to Investors Realty, where he specializes in 1031 exchanges. Heinrichs, who started out as a sales manager for Dial Realty Inc., counts among his successes the boosting of one investor’s portfolio from zero cash flow to more than $450,000 cash flow per year. A Chicago native with degrees in architecture, Marvin Krout worked as a planner in Dallas and the Wichita, Kansas, area before advancing to the top Lincoln planning spot from 2002 through 2014. Krout, who died in November, was known for simplifying and clarifying development standards and for his focus on revitalizing the city’s core. Under his guidance came the downtown master plan and such projects as the Pinnacle Bank Arena. 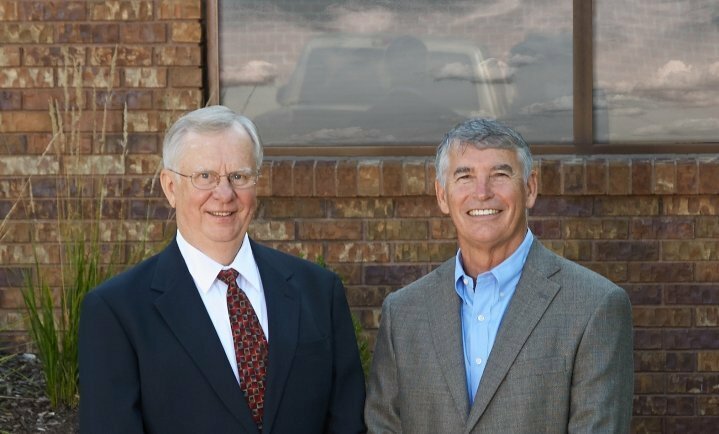 Founder of the Lund Co., John Lund has 35 years experience in brokerage, asset management and consulting services and has guided the firm that manages more than $1 billion in assets. A graduate of the University of Nebraska-Lincoln, he has been involved in the acquisition and exchange of more than $250 million in investment properties. Lund serves on the boards of the Metropolitan Entertainment and Convention Authority and the Regency Office Park Association. Leslie Peterson began her career with Pfizer Pharmaceuticals in the mid-1970s, where she was one of 85 Midwest representatives, and the only woman. A UNL graduate, she’s worked for employers including Experian, BVH Architects and Lamp Rynearson, where she is a principal and has managed client development and marketing since 2004. Peterson helped found Commercial Real Estate Women of Omaha, and for a decade has helped plan the annual Summit conference. A product of both UNL and UNO, Michael Wiese served in the Air Force and was an Omaha city planner. In 1985, he became executive director of the Omaha Development Foundation, coordinating such projects as ConAgra’s new world headquarters, before shifting to Pacific Realty Group and helping to direct projects including the Gallup University headquarters. Later, with Noddle Cos., Wiese helped plan Aksarben Village and eventually joined what is now Colliers International (formerly Grubb & Ellis/Pacific Realty).